Are your kids are getting a bit restless and looking for something to do, why don’t you play a little “hooky” yourself and take your kids offshore fishing? The time of making lifelong memories and watching a kid catch his first Mahi Mahi, Sailfish or Blackfin Tuna is a memory that the entire family will cherish. Here at Fantastic Sportfishing, few things bring a bigger smile to the faces of Captain Steve and his crew like a kid catching the fish of a lifetime. There are fishing charter operations out there that discourage bringing kids on board. We WELCOME junior anglers and we can customize trips to keep kids engaged and to catch big offshore species. We know that younger kids prefer quantity to quality: they would prefer catching a handful of 2-foot-long bonitos to one great big one. We get it. Captain Steve and his crew are well-versed at keeping things fun until the rods start bending and drag starts peeling off. You see, at Fantastic Sportfishing, we realize that the future of angling rests in the hands of our kids. We all have a responsibility to be stewards of our precious resources and teach the next generation how to treat our oceans, waterways and wildlife. This all starts with a kid’s very first fishing experience. 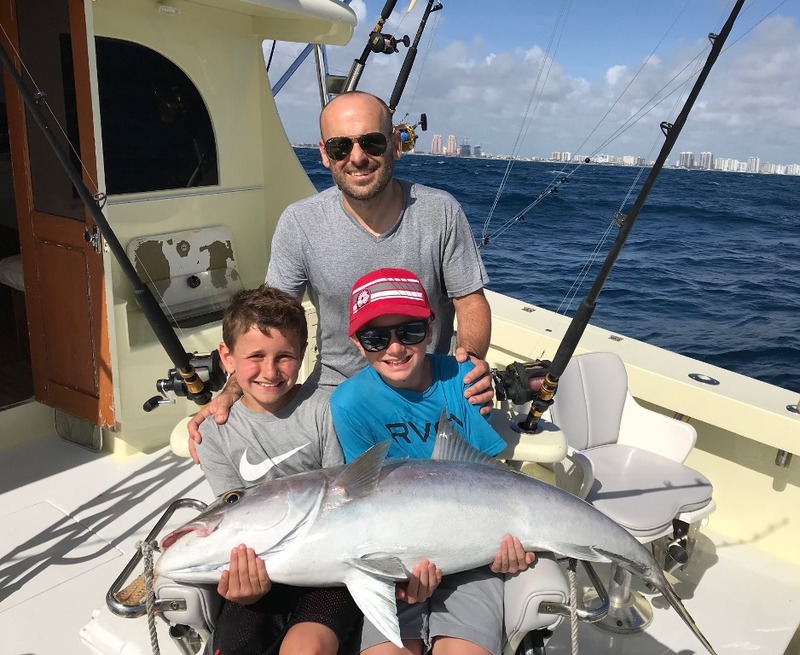 You and your kids will enjoy deep-sea fishing the beautiful waters offshore of Fort Lauderdale, Florida in our custom-built Buddy Cannady based out of the Bahia Mar Yachting Center on Fort Lauderdale Beach. You family will enjoy our fully-air conditioned, spacious salon with leather seating; a large, spotless restroom (“head”) and a built-in Sub-Zero fridge/freezer for your beverages and snacks. She boasts a spacious cockpit sporting three fighting chairs and mezzanine seating. Powered by a single 740 hp M-60 Series motor which virtually eliminates any exhaust smell and makes her the fastest charter boat of the fleet. 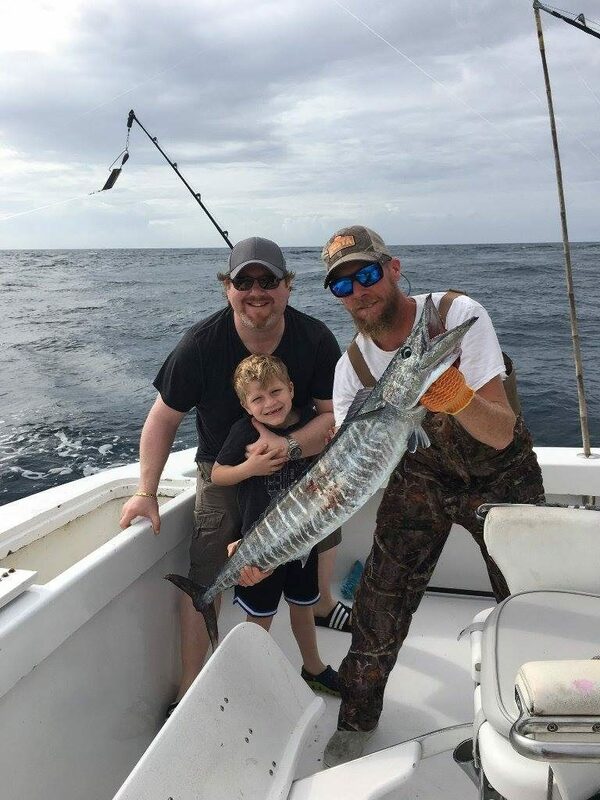 Captain Steve can connect you and your kids with some of the most-prized saltwater species in the world, including: Sailfish, White Marlin, Tunas, Wahoo, Bonitios, Mahi Mahi, Cobia, King Mackerel, Barracuda, various Snapper species. Did we mention Sharks? We have watched kids on board catch a multitude of Shark species including Makos, Bull Sharks, Blacktips, Lemons, Reef Sharks and even Hammerheads! Captain Steve would be honored if you would let us be part of your kid’s first saltwater catch…or the second…or the third. We take great pride in providing such a great angling experience that your kids will catch the fishing “bug” and want to do it again and again. Call us to book your Fantastic Kids Fishing Trip today!